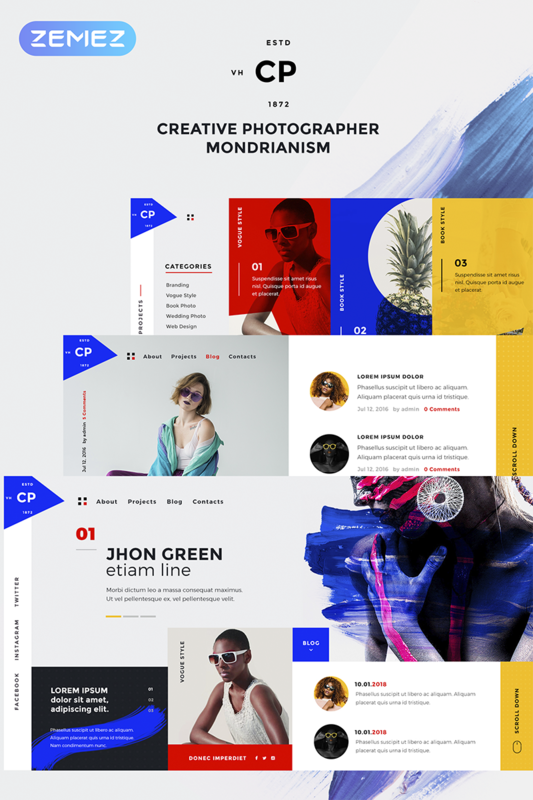 QUANTUM – Creative Agency WordPress Theme is an original premium WordPress website created especially for web agencies: web design, digital marketing, awesome digital services. A fresh design and a modern approach will help you gain more and more customers with Quantum. This theme gives you the possibility to showcase all your strong points along with your portfolio, testimonials and an entire range of services and all the business information that you need. The theme comes with two of the most popular sliders on the WordPress market: Layers and Revolution Slider. JOURNAL – Free Magazine WordPress Theme is a Free theme that will take your blog or online magazine to the next level. Besides the regular default blog pages, Journal comes with a couple of built in page layouts for you to use and the visual drag & drop page builder will enable you to create countless more. The theme comes with built-in a cool slider option for you to use: you can easily use it to showcase your awesome portfolio or even manually populate it to link to different blog posts. TAPPTASTIC – App WordPress Theme is a esponsive WordPress theme for smartphone developers that need to promote their iPad, iPhone or Android mobile apps. FREELANCER – One Page WordPress Theme is a responsive one page WordPress theme dedicated to freelancers, web designers, developers or even contractors. The “One-Page” websites are all the rage right now, and for good reason: they can convey quickly and beautifully all the information needed, while still being powerful and versatile.